Why is Towner Art Gallery the best choice for you? Towner Art Gallery was founded in 1922 by Alderman John Chisholm Towner, who left 22 paintings and a sum of money to create 'an art gallery for the people', and this is what Towner continues to be to this day. The gallery's RIBA award-winning building is the largest of its kind in the South East and hosts a programme of exhibitions showcasing the best of modern and contemporary art, alongside works from Towner's acclaimed Collection. Our learning programme draws inspiration from our collection and exhibitions allowing everyone to enjoy and participate in the arts. Through our exhibitions programme we bring to the region some of the most important work by national and international artists, as well as providing commissioning and mentoring opportunities for young and emerging artists. Our Collection exhibitions enable our visitors to see favourite works whilst raising interest in less well-known pieces. As part of our remit as a major national gallery we aim to develop our Collection to reflect society’s changing interests, issues and challenges, and to create a legacy for the future. Towner's award-winning Learning Programme provides creative and education activities for more than 10,000 people each year regardless of age or background, from babies through to the elderly and including some of the most vulnerable people in our community. 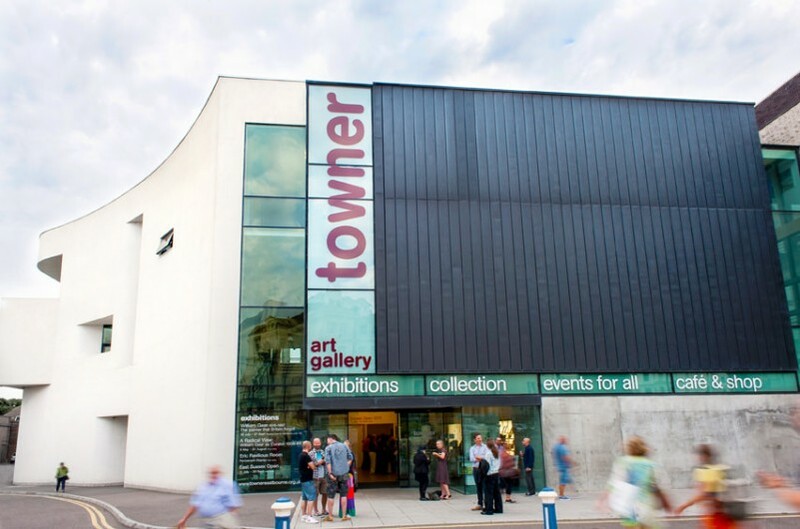 What can Towner Art Gallery offer you? Today, our Collection is made up of nearly 5000 works, and has a particular focus on Modern British art, including the largest and most significant collection of works by Eric Ravilious (1903 - 1942). A cultural and social asset for Eastbourne and the South East, Towner provides an open and free space for everybody to experience, create and talk about art and culture, to meet and socialise, to learn and be inspired.